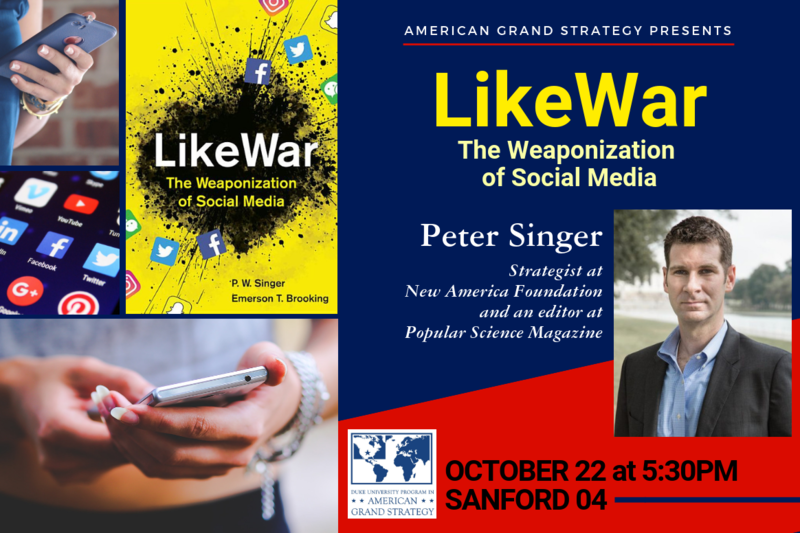 A political scientist specializing in international relations and modern warfare, Peter Singer will discuss his new book Like war, The Weaponization of Social Media. Through the weaponization of social media, the internet is changing war and politics, just as war and politics are changing the internet. Terrorists livestream their attacks, "Twitter wars" produce real¿world casualties, and viral misinformation alters not just the result of battles, but the very fate of nations. The result is that war, tech, and politics have blurred into a new kind of battlespace that plays out on our smartphones.